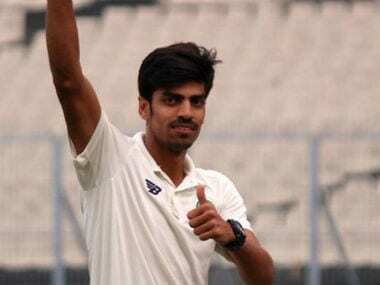 Vidarbha ended up with a record 800 for seven before pacer Rajneesh Gurbani tore through the Rest of India batting to put the reigning Ranji champions on the cusp of securing the Irani Cup in Nagpur. Jaffer started the day on 113 and added 172 runs more to become the highest individual scorer in the Irani Cup. Jaffer has faced 425 balls to smash 34 boundaries and a six. 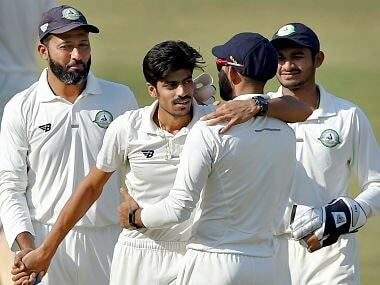 With three wins in a row, Vidarbha led Group D table with 12 points, while the home Hyderabad side remained second with eight points. In other matches, Jharkhand and Jammu & Kashmir secured their first wins respectively, to remain in contention. 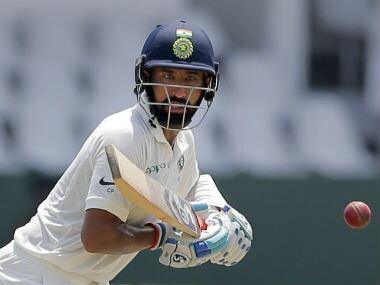 Saurashtra rode on Jackson's impressive 107-ball 106 and Pujara's 60 off 92 balls to post 286/7 and then restricted Chattisgarh for 254/9 to run away with all four points from the Group D match. 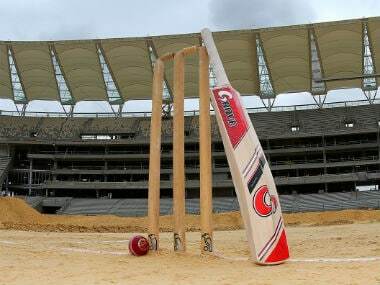 Gurbani ripped through the shaky defence of Vikas Mishra, Navdeep Saini and Shorey off successive deliveries before knocking over Kulwant Khejroliya, to cut short Delhi's innings.